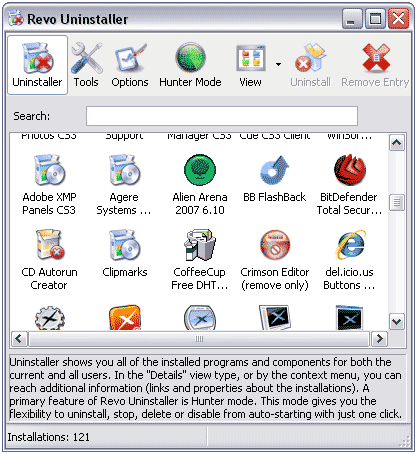 Revo Uninstaller is a powerful portable uninstall tool or utility that can do much more than just add/remove programs. It can be used to remove any unwanted software programs, applications and traces from your computer. Revo Uninstaller has the ability to scan a program’s data before uninstalling and can then check for any remnants of the program after it has been uninstalled. In addition, a user can remove unnecessary files, folders and registry keys that may be left over after performing a standard uninstall. Q: What do you normally do if your software installation becomes corrupt or is broken? A: With Revo Uninstaller, you can scan for all the program’s related data found on the PC and show found files, folders and registry entries so you can proceed to delete them.